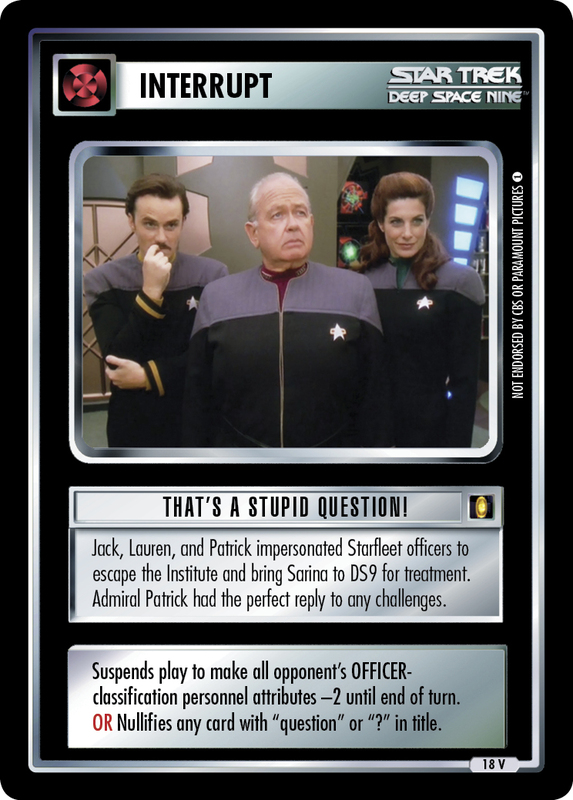 Jack, Lauren, and Patrick impersonated Starfleet officers to escape the Institute and bring Sarina to DS9 for treatment. Admiral Patrick had the perfect reply to any challenges. 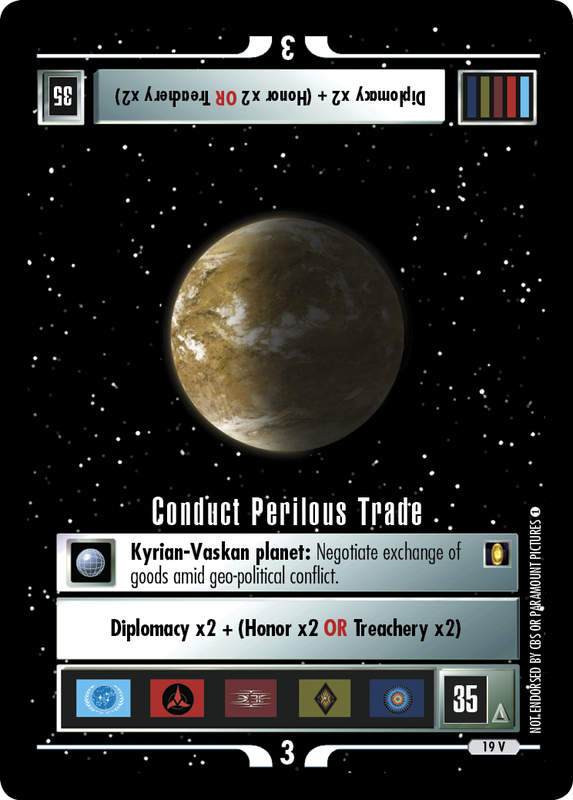 Suspends play to make all opponent's OFFICER-classification personnel attributes -2 until end of turn. 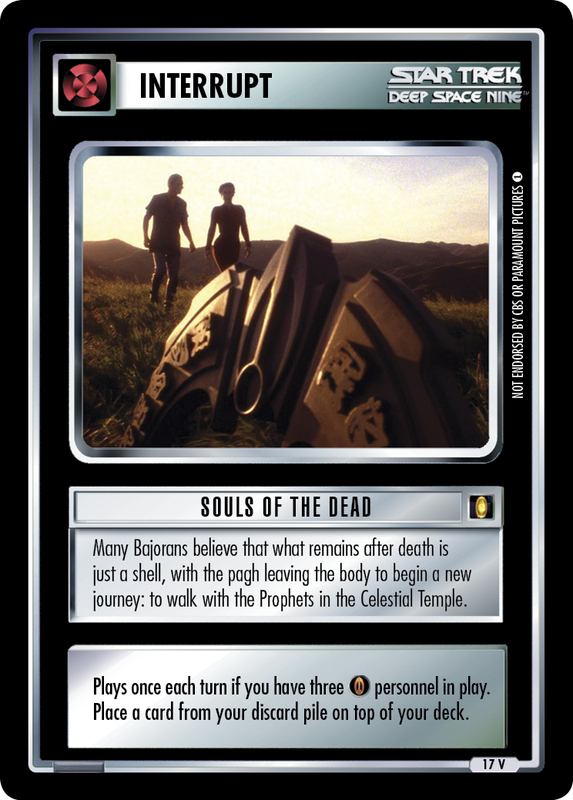 OR Nullifies any card with "question" or "?" in title.